(CNN) In a stunt that gives new meaning to the phrase traffic pile-up, a Chinese man has been fined for driving three trucks stacked together down a freeway, state broadcaster CCTV reported. Not amused, officers of the Chinese highway patrol in the northern province of Shanxi pulled over the unidentified driver and handed him a ticket for overloading his vehicle. According to CCTV, the driver came up with the scheme to avoid the exorbitant cost of transporting three trucks. However, his plan didn’t work out too well. In addition to a $30 (200 yuan) fine and a one-point penalty on his driving license, he was ordered to ship the trucks individually to their destination. 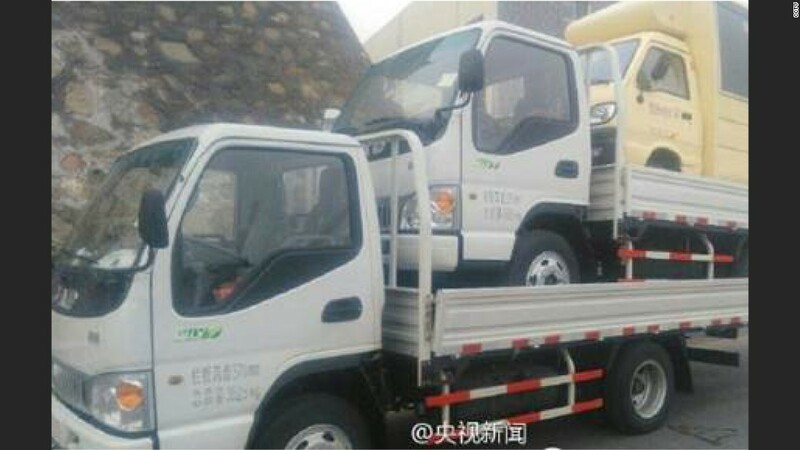 Pictures of the piled up vehicles have gone viral since CCTV uploaded them to its official Weibo social media account, where commenters have reacted with equal parts glee and shock. 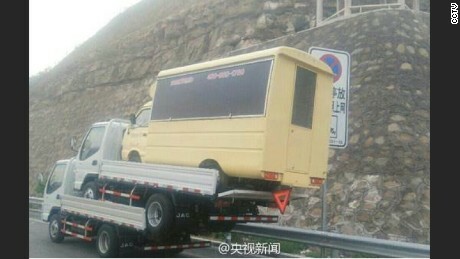 China is no stranger to “creative” solutions to shipping large vehicles. Last November, two small trucks were found loaded with two smaller trucks on the top on a highway in Anhui province. The driver ended up being fined for violating the weight and height limit for highway vehicles.